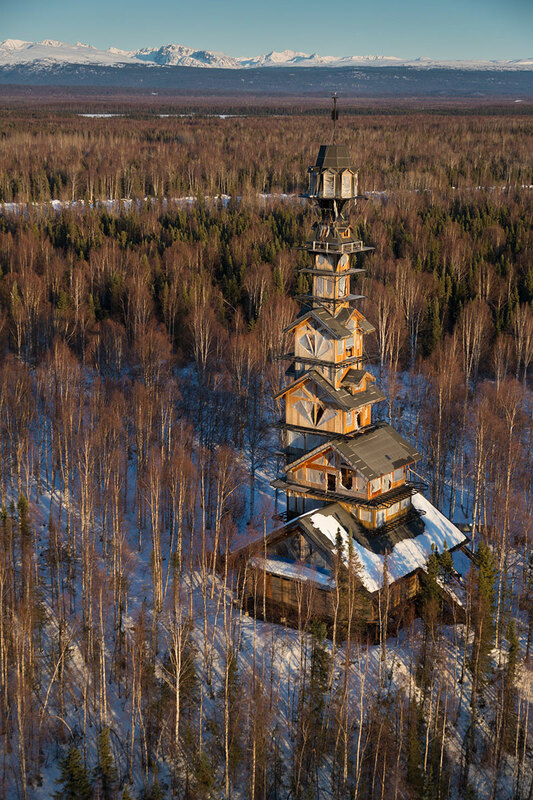 Looking something like a house from Dr. Seuss, the Goose Creek Tower in Talkeetna, Alaska was built by Phillip Weidner, an eccentric attorney and self-described "frustrated architect." The private home is a series of stacked houses that becomes smaller as it stretches upward, with small staircases and ladders leading from floor to floor. At the top is an observation tower with 360-degree views of the surrounding landscape where Weidner estimates you can see for 300 miles. 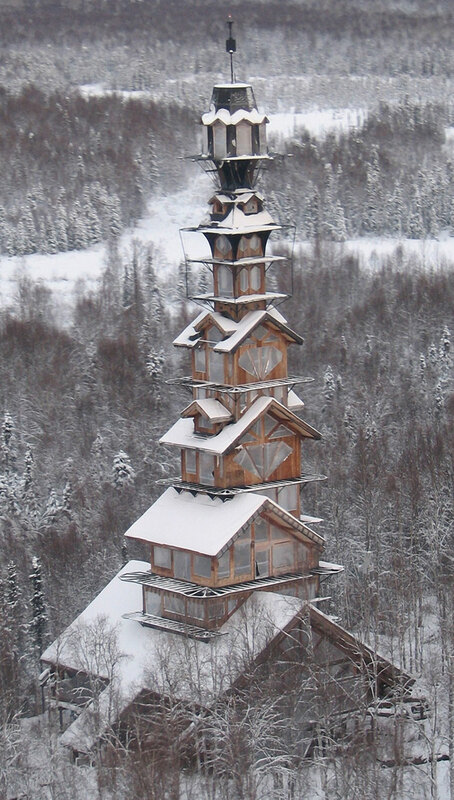 Construction of the house has been ongoing for the past 15 years and has topped out at 185 feet. Weidner states that he would have kept building were it not for federal air space which starts at 200 feet. 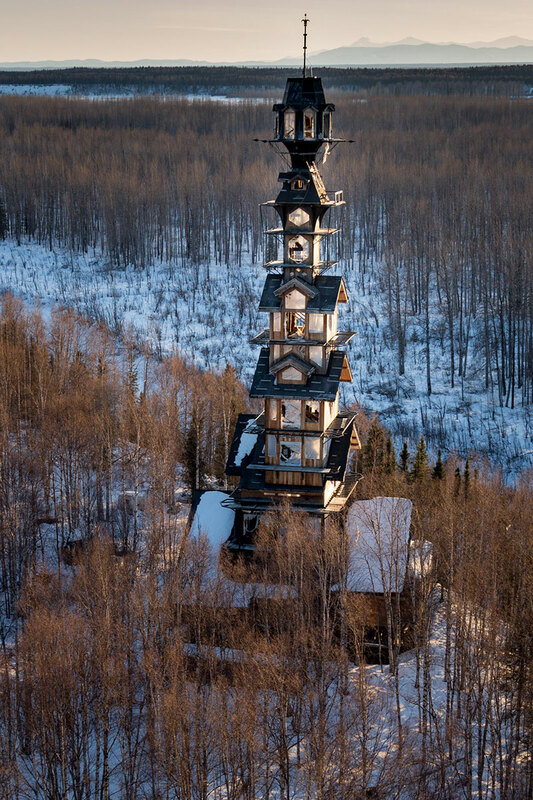 Looking something like a house from Dr. Seuss, the Goose Creek Tower in Talkeetna, Alaska was built by Phillip Weidner, an eccentric attorney and self-described "frustrated architect."